Simona Scarpaleggia is the CEO of IKEA Switzerland where she oversees strategy and operations of the retail business including nine stores, e-commerce and distributions. Before joining IKEA Switzerland, she has held various positions in IKEA Italy and other multinational companies as senior executive and HR Director. She is a passionate campaigner for all issues surrounding women’s empowerment. In 2009, she co-founded «Valore D» in Italy and later «Advance – Women in Swiss Business» in Switzerland. Both organization have a mission to boost gender diversity and to increase the share of mixed-gender management teams for the benefit of customers, companies, economies and societies. In 2016, former UN Secretary-General Ban Ki-Moon appointed Scarpaleggia as co-chair of the High-Level Panel on Women´s Economic Empowerment in the context of the Global Goals for Sustainable Development. 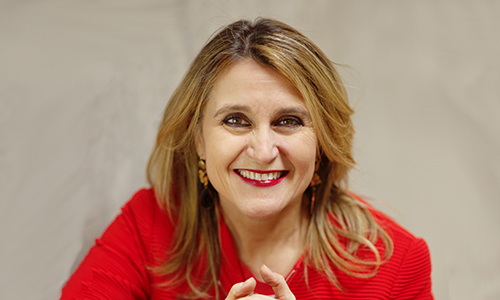 Simona Scarpaleggia holds a degree in political science and an MBA from SDA Bocconi School of Management. She is an Italian citizen, is married and has three children.